Some awesome guest bloggers have filled in for me the last two weeks–thank you, Kay and Ann–so today I’m going to catch you up on what’s been happening with my book. About two weeks ago, my galleys came in! I posted about this milestone on one of my writers’ sites (GIAM, you rock), and a few people had questions. First step: editing. You might spend a few weeks or months (or more) revising your manuscript with your editor after your publisher commits to your book. When you’re both satisfied, you submit your final draft, which isn’t really final, but that’s okay–that’s what they call it. 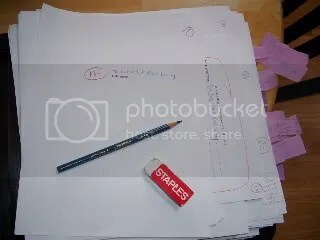 This then goes to Production, where a copyeditor is assigned, designs are drafted for the interior of the book, and more. In other words, this is when things get fun. From this point onward, any changes you decide to make are made by hand on a master manuscript that originates with the publisher. So if you have a fantastic brainstorm between this and the next step, write it on a piece of paper and stick it somewhere important; don’t make changes on your electronic file ever, ever again and expect your editor to accept them. If you find yourself making big changes, type them on a separate sheet of paper for clarity, mark where on your manuscript the changes should be entered, then include them with your pages; this can help prevent transcription errors later. Finally, make a copy of these pages before you send them back to your editor; it’ll come in handy for the next stage. Congratulations! You have just entered the prepress stage of production. A compositor/typesetter will be hired to input your words to create page proofs, which will become both the first-pass pages and the bound galleys. Your book will also be assigned an ISBN number. Bonus step: consultation. You might be asked for your opinion on design elements and more along the way. What do you think of this font? This art? The title page layout? How about the teaser copy on the back of the galley? It’s a great opportunity to work with your publisher’s team, but I’m not sure it’s the typical scenario; we had some unique design issues with Last Will, which may have been why I was pulled into the loop a few times. I loved and appreciated the experience, though. Third step: first-pass pages. First-pass pages come about two months later, and they’re especially cool because they look like your book, just in loose-leaf form. But that doesn’t mean you’re through editing. No, no, no. There’s another pass to come. 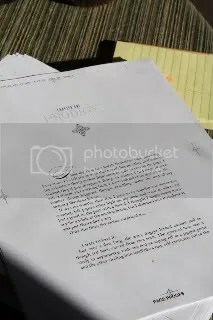 So you get these pages and, knowing you are very close to being finished, agonize over every word–because you don’t want to be that author who has a typo if you can help it. And, as you’ll be told, it’s the last chance you have to make “major” changes to the manuscript. I didn’t make major changes, but I did end up with a lot of eraser bits all over my desk. Editing may, in fact, be a disease. You’ll also want to compare what sits before you as first-pass pages with the photocopied copyedited pages you turned in earlier. I caught a number of missed notes by doing this–some had been mine but several were the copyeditor’s. Anything that you change is considered an author’s alteration (aa), and if you make too many of them, you may be charged by your publisher (check your contract for specific guidelines). Anything you or the copyeditor had already changed that was missed by the typesetter isn’t an aa, though, so make a note that it was missed from the previous pass. Fourth step: galleys. I no sooner sent my edited-to-the-hilt pages out the door when I received my galleys. (Remember, the first-pass pages and galleys are made from the same page proofs; see second step.) Unfortunately, the galleys contain all the bugs you just exterminated. You sneer at them a bit. Then, after you’re done sneering, you cry a little and smile a lot, because THIS IS YOUR BOOK, LOOKING LIKE A BOOK! Woot! Fifth step: second pass pages. These should arrive 2-3 weeks after you turn in your first-pass pages, so I’m still waiting on mine. They should reflect every change you made in the first-pass pages and represent the very last time you can make changes to anything. When I get these, I’ll check them against the copy I made of my first-pass pages, just to be certain everything was caught. And then you kiss it and send it away, and it goes from your editor’s hands into the hands of Production–where it’s proofread again, where the design is checked again, and where it’s finally sent to the printer. Sixth step: wait for the book. Magic may still be happening in the design department at this point, as your book jacket–with its art and teaser copy–is being tailored. You may still be gathering blurbs and waiting on reviews. This stage–the waiting stage–is the longest. 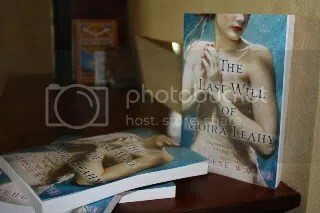 The Last Will of Moira Leahy isn’t going to be released until October 13th, which means I have a lot of waiting to do. I don’t know about you but, as Inigo Montoya once said, I hate waiting. You know what that means: Time to write the next book! Did I leave anything out? Make the process sound more confusing than ever? Does anyone have questions? Don’t be afraid to ask. This is so exciting!! Thanks for explaining all the steps. Also, CONGRATULATIONS! :D That’s so exciting! Therese, thank you for this fascinating and informative look at the publishing process. Your book looks absolutely lovely. How did the publisher decide on the cover design? How much say were you permitted? I’m so thrilled for you! I agree with Kristan that it’s wise to make photocopies of the copy edit and first page proofs. I’ve never actually done this because it’s so many pages (for me, generally about 500 for each, so it wouldn’t be a home photocopying job) but without a photocopy it’s not possible to revisit anything in the copy edited manuscript with its multicoloured markup and inserted extra pages. I generally don’t get to see the second pass unless there are masses of changes to the first pass – it’s only happened once. It is usual for the publisher to remind the author, when sending out the first page proofs, that substantial alterations at this stage cost money! In fact, there can be a clause in the contract saying that if the author wants to alter more than a certain percentage of the ms at proofs stage she’ll have to pay. I’m glad you love the cover, Lorna! I’ll blog about the cover process sometime soon. I’m exhausted just from reading all of the editing and re-editing and re-re-editing. I think I will go take a nap now. And Kismet looks adorable curled up in the corner of your couch! Wonderful! Really fabulous info to have, and what snippets I can see of the layout look gorgeous. October really does seem so far away! Very informative post! October, get here soon! Wow! I am at that stage where I’ll be getting the copy-edited pages on May 20th and have to return them by June 2nd. I wasn’t quite sure what to expect. 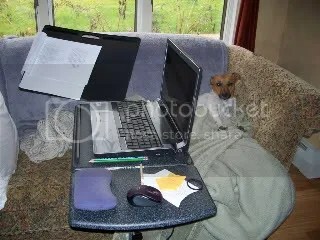 Your blog is a big help. I just went “Yeah!” reading that galley stage. So exciting. Thanks for an awesome blog. My novel, THE HANDBOOK FOR LIGHTNING STRIKE SURVIVORS, will be released Spring, 2010 by Shaye Areheart. Yeah!